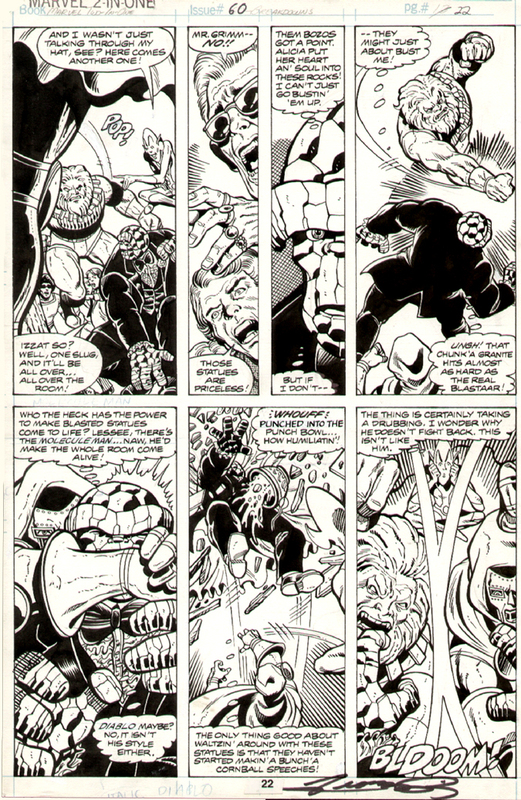 Marvel Two-In-One #60 features great art by George Perez and Gene Day. 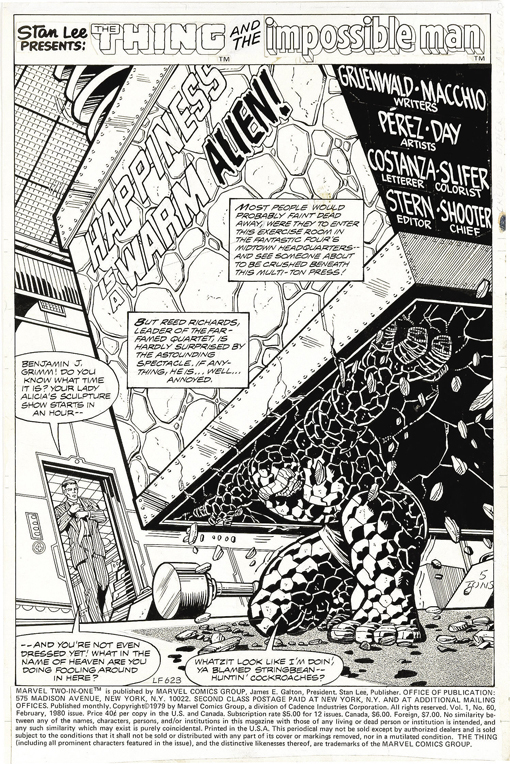 Check out this fantastic splash page of the the Thing straining against the weight of the multi-ton press in the Baxter Building's gym. 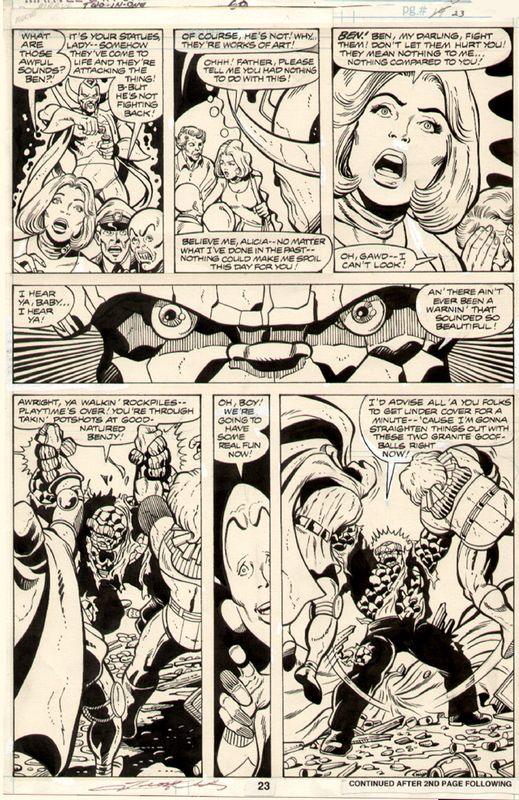 Below are a few other pieces from the issue, including a nice self-portrait by Perez who makes a cameo in this issue alongside fellow Marvel creators Mark Gruenwald and Ralph Macchio.